Europe may be the birthplace of modern Christianity, but today it represents one of the least evangelized continents in the world. According to Operation World, the majority of countries come in at less than 1 percent evangelical, with only 2.5 percent of the total European population being evangelical. 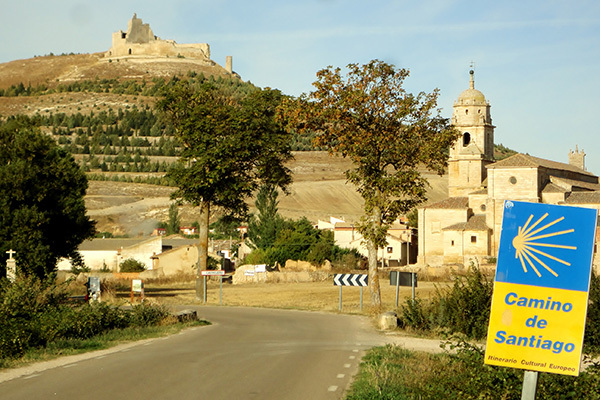 Despite the odds, the Lord continues to move in Europe and One Challenge workers seek to encourage believers to reach their nations and beyond. 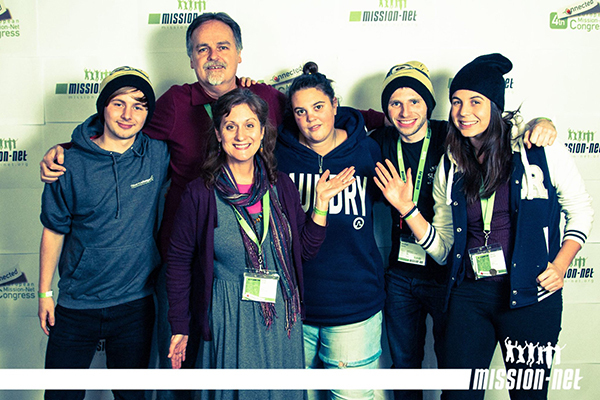 In January of 2016, four OC workers attended Mission-Net Congress, a gathering in Offenburg, Germany of around 2,000 youth representing 49 nations. In addition to these workers, OC Global Alliance member Hélder Faravin serves on the Mission-Net Board. “This conference aims to challenge and mobilize youth in Europe to go into all the world to share the message of the gospel,” Tammy says. Tammy, along with her teammate Stacey, brought a group of young adults from their churches in Sibiu, Romania. “Throughout the week young adults were challenged to commit to living in missional communities wherever God sends them, even if He sends them to the neighborhood where they grew up,” Tammy says. Tammy also served on the official prayer team during the congress. 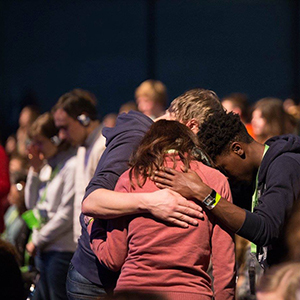 “I had the honor of praying with many young people from Denmark, Germany, Italy, Spain, and Switzerland as God spoke to their hearts during the conference,” she says. Also bringing along young believers from England were One Challenge workers Steve and Renée. This couple has a passion for young believers and in their English community they serve as mentors and a second home for many young adults. “It was truly a five-day taste of heaven — one I hadn’t experienced since the late 90s at a similar event in Holland that sparked our call to serve in Europe,” Renée says. During the days there were Bible study times, booths to explore of various organizations with missional opportunities, a large Christian book selling area, and a variety of seminars with various tracks, like youth ministry, refugee ministry, leadership, spiritual formation, and worship, to name a few. There were whole areas set up for counseling, art expression, and cafes. The group from Romania was also challenged during the event and mentoring opportunities have opened for both Tammy and Stacey. Tammy will engaging with Mission-net in an extended role. 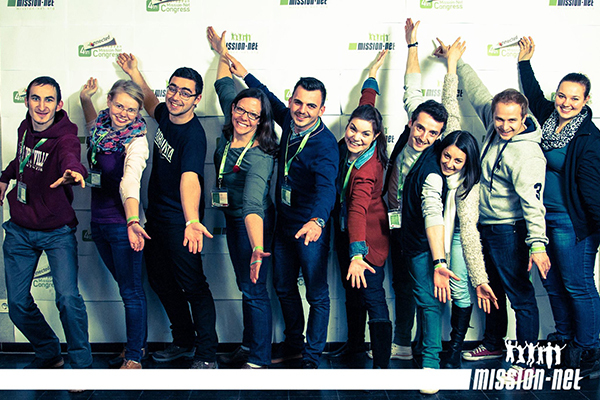 Exciting things are happening among the young adults in Europe. The Lord is calling a generation to live missionally, whether in their hometown or wherever He may call them. Pray that through this conference the Lord will raise up more workers for the Harvest. Pray for the established and new relationships that Steve, Renée, Tammy, and Stacey have with the young adults in their communities. 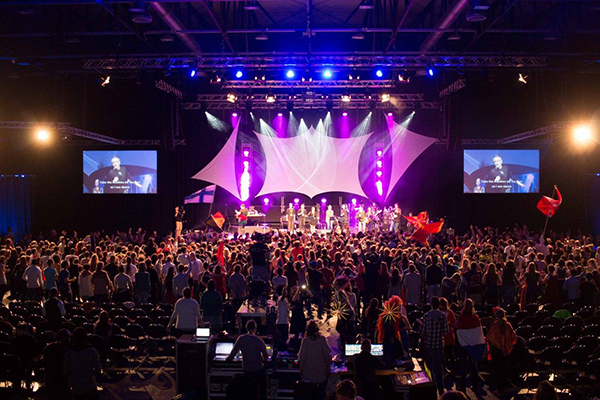 Pray for the zeal of these British young adults to fan the flame among other young people here so that this generation will be the ambassadors of healing and spiritual revival in post-Christian, wounded-but-reviving Europe. Pray for Romanian youth, as Romania is one of the leaders in the evangelical movement in Europe with 3 percent of the population being evangelical.